If you’re in the market for a 24 hour watch, it’s always worth checking out eBay, although ‘buyer beware’ is always good advice (and check shipping costs before you start bidding). 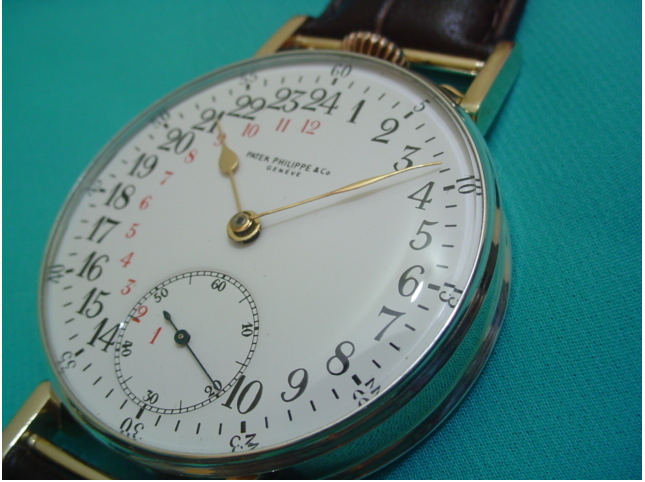 This Patek Phillippe example from the 19th century can be yours for about £10,000 or thereabouts. At the other end of the range, this used Swatch watch sold today for less than £15. 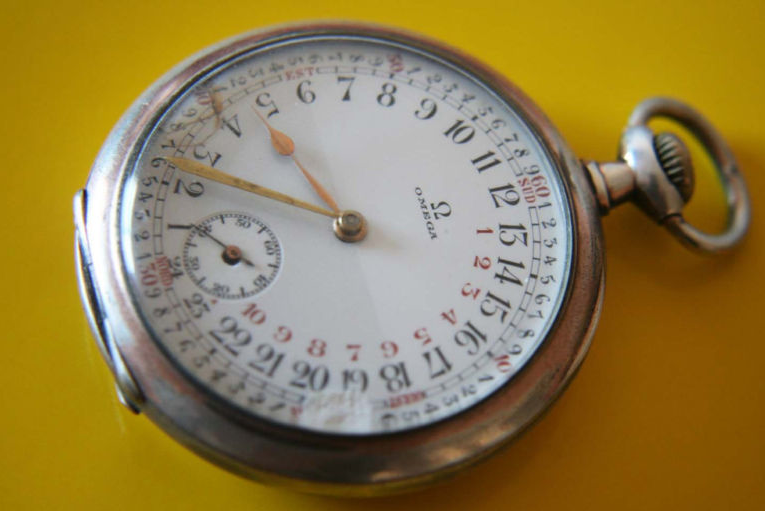 This Omega pocket watch from the 1900s is still available for about $1750. Intriguingly, the four compass directions are marked at 12 (SUD), 15 (Ouest) , 6 (Est), and 24 (Nord): when you point the hour hand to the sun, these directions are correct. 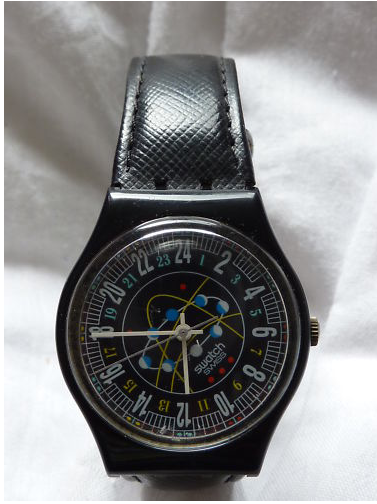 On a quick tour of eBay this afternoon, apart from dozens of badly labelled 12 hour watches with extra 24 hour markings, I found some genuine 24 hour models: some Breitlings, a Tissot Navigator, and, as always, plenty of Swatch and Russian models on sale, although you need to be careful when you study the prices. As I said, check the shipping costs before you buy!